From the end of the Bakumatsu to the Meiji period, there were four innovators in Japan that made enormous goods. Where were they different? Let’s introduce the posted articles from the special issue of “President” (February 12, 2018 issue) “Introduction to Japanese history useful for work” in all four times. The second is “How to bring up the business of Iitasaki Yataro” -. Mitsubishi Zaibatsu founder, Yatarou Iwasaki was a very low samurai of the status of Tosa clan ‘s underground ritual (gruel rounder). Yataro who received humiliated discrimination from senior samurai and was poor enough to be despised by farmers bought a family name Iwasaki from his acquaintance a few years before the Meiji Restoration. I did not even have a surname. It is now Mitsubishi, Mitsui, Sumitomo and Mitsubishi who is named after the three biggest chaebols in Japan, but unlike Mitsui, Sumitomo, a luxury merchant who has been running for over 200 years since the Edo period, Yataroro was 36 years old in 1870 I even did not even exist until founded in. It is only 15 years until Yataroro makes Mitsubishi a huge chaebol. Why did Yataro became so successful? In the poverty and discrimination, the path that Yataroro who had a strong rebellious spirit and aimed for a successful lifetime was to first study academics. Although it is Yataro who looks like a bravery, he is acknowledged by strong earnestness of childhood and a clear intelligence, learning from Tosa’s most famous Confucian scholar Okumiya Susaide. And I accompany the office of Okumiya and go to Edo. Yatarou who saw the luxurious Daimyo in the Edo period said, “I will emphasize merely in such a form, if the forever seems to be a dream of Taiping, I wonder if the underworld of Tokugawa is already at the end,” Okumiya said It was. It was around the time of repressive politics leading to Ansei’s hell, which was forced to open the United States after Perry’s flight. Yataro was disappointed with the lack of a sense of crisis between the shogunate and the shogunate. After that, the turning point that Yataroro, who continues studying under the famous Confucian scholars in Edo, turned into a rare entrepreneur was how he learned arithmetic on the lumber. Yataroro who was fighting to help his father by returning home after his father got a violent incident at Tosa was imprisoned. In that prison, we teach mathematics to the lumber who was in the same room. Perhaps it was a very rudimentary arithmetic required for lumber transactions. However, Yataro opened it. It sounds strange to say that Yataro who was studying Confucianism to the top scholar in Japan sounded strange to teach mathematics to the woodcutter, but there were few samurai able to do arithmetic in Japan at that time. Because gold account is because it was supposed to be a low-ranking merchant style, and it was said that it is a crowd of samurai warriors. I think that the attitude to adopt what I thought was good, not being thrown by the trend of such a world, led Yataro to a successful person. Yataro will refine this “arithmetic of prison” and will bear the role of the Tosa clan’s economic bureaucracy by being invited by the Tosa clan’s participation in the Tosa clan, Yoshida Oriental, who was in financial difficulties after the prison. When visiting Nagasaki and thinking that the shipping industry will grow from now on, when the commercial transaction is liberalized by the Meiji government, in 1870, we will launch the ninety-nine business, which is the predecessor of Mitsubishi. I borrowed 3 vessels of the Tosa clan, began shipping between Tokyo – Osaka, Kobe – Kochi, the following year they received payouts of two of them and have their own ships. 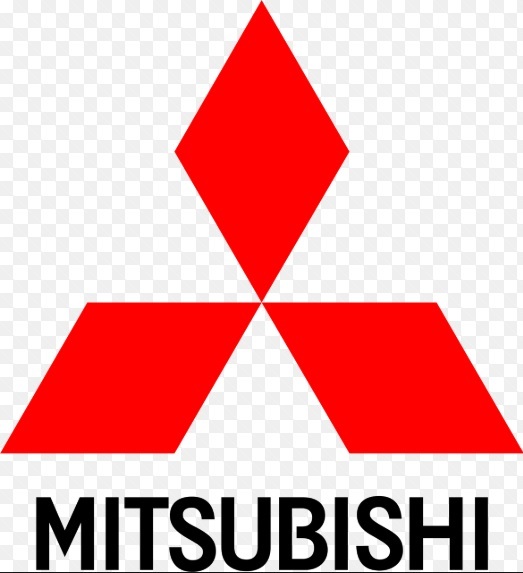 Mitsubishi made a leap forward in the Taiwanese soldiers in 1874 and the Southwest war in 1877. The Meiji government bought ten large ships for soldiers in Taiwan. 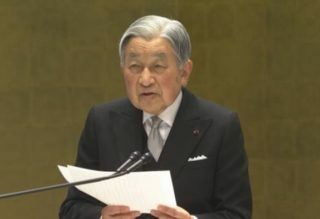 Toshimichi Okubo, who led the dispatch, tried to transport the weapons of weapons to the Japanese steaming ship company of Japan established as a national policy company, but the company did not try to receive this request with various reasons. Okubo who boiled the business called Yataro and asked for this transportation. He makes a decision on the spot. Why was it possible to make a big decision soon? It is a collection of information by making good use of a lot of knowledge and intimate connection by fierce studies. He was curious and he was a person who was good at “information sensitivity”. And the soldiers in Taiwan succeed and Mitsubishi will receive government subsidies. Mitsubishi received 18 vessels of the Japan Steaming Steaming Ship company that soon disbanded and got it free of charge, renamed it “Postal Steaming Mitsubishi Company.” In addition, we took over the transportation of weapons of southwest war, and gained great benefits. It quickly rises to the top of the shipping industry in Japan. If you listen to the story so far, Yutaro’s success may seem to be due to its own decision-making ability, with a spiritual businessman who was born with hungry spirit coming from poor birth and arithmetic of prison multiplied. But I think that Yataro did not only have that, but also the power to see the essence of things and the extraordinary venture spirit. For example, from Mitsubishi, Japan’s largest shipping company, a British major shipping company P & O Steamship robbed Mitsubishi’s job. It would have been thought that many people lost the wage competition. In fact, however, the company had provided the shipper with a service called “shipper” using checks. Simply put, it is a service that pays for transportation expenses with payment after completion of transportation. For shippers, paying the fare out of the income that sold the item makes cash flow easier. That was the customer needs grabbed by the P & O Steamship. Yataro quickly sees this essence and establishes banks and insurance companies. It is Mitsubishi Bank and Tokio Marine Fire. Mitsubishi used two financial services, banking and insurance, to withdraw customers from P & O by depriving customers by making customers cash flow easier while also offering peace of mind. Price competition for transportation business is not essential. Yaitaro thought that providing cash flow and relief was essential raised the ranking. Although Yataro closes a rather short lifetime at the age of 51, I will also add that the reason for making Mitsubishi Zaibatsu as a stone that follows is human resource development. He himself was also a tremendous student, but in 1872 he just founded the ninety-nine trading company, made his brother · Yayonosuke (Mitsubishi Zaibatsu second generation general) studied in the United States. Furthermore, my son and Hisaya (the 3rd generation general) are studying at the Wharton School of the University of Pennsylvania at Washington School and Yayonosuke’s eldest son, Komita (the 4th generation general) at the University of Cambridge. Both are super high-ranking in the world. And they also gathered excellent talents around them. Yatarou knew from his experiences of rushing underground riders to the best businessman in Japan, learning arithmetic and touching the leading edge of the world economy is the mainstay of management. And Mitsubishi was able to build an undaunted chaebol because his experiences had been accumulated by their children and they also neglected to train human resources. अब “मित्सुबिशी, मित्सुई सुमितोमो,” ने कहा कि जापान की तीन लेकिन बड़े कंपनियों के संगठन के बीच जल्द से जल्द मित्सुबिशी नाम ऊपर जाता है, एक धनी व्यापारी है, जो ईदो पिछले वर्ष से 1870 में 200 से अधिक वर्षों, सुमितोमो और अंतर, Yataro है 36 वर्षीय चली की मित्सुई मैं भी स्थापित होने तक अस्तित्व में नहीं था। यह केवल 15 साल है जब तक यतरोरो मित्सुबिशी को एक विशाल शैबोल बनाता है। यतरो इतना सफल क्यों हुआ? Desde el final del Bakumatsu hasta el período Meiji, hubo cuatro innovadores en Japón que fabricaron productos enormes. ¿Dónde fueron diferentes? Revista, “Presidente” las características especiales del artículo postal “ayuda a la obra de historia japonesa Introducción” de (12 de febrero, 2018) trata de introducir en las cuatro veces. El segundo es “Cómo abrir el negocio de Iitasaki Yataro” -. Fundador de la Mitsubishi zaibatsu, Yataro Iwasaki fue muy baja identificación samurai de ronin subterráneo del clan Tosa (JIGE sin maestro samurai). Recibido una discriminación humillante de samuráis de alto nivel, es Yataro era tan pobre son despreciados incluso de los agricultores, compré un apellido que Iwasaki conocido desde hace unos años de la Restauración Meiji. Ni siquiera tengo un apellido. 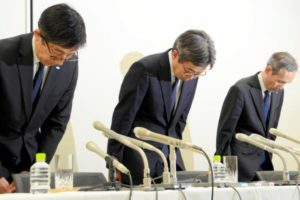 Ahora “Mitsubishi, Mitsui, Sumitomo,” dijo de Japón tres, pero el primer entre los grandes conglomerados es el nombre de Mitsubishi sube, Mitsui de un rico comerciante, que duró desde Edo año anterior más de 200 años, Sumitomo y la diferencia, Yataro es de 36 años de edad en 1870 Ni siquiera existí hasta que fundo en. Son solo 15 años hasta que Yataroro convierte a Mitsubishi en un enorme chaebol. ¿Por qué Yataro tuvo tanto éxito? En la pobreza y la discriminación, el camino que Yataroro, que tenía un fuerte espíritu rebelde y tenía como objetivo una vida exitosa, fue estudiar primero académicos. Es Yatarou parece torpe, pero observó una inteligencia clara y un fuerte deseo de aprender de su infancia, el más famoso erudito confuciano en Tosa, que aprenderán a Zosai Okumiya. Y yo acompaño a la oficina de Okumiya y voy a Edo. En el Yataro visto una magnífica servir daimyo Edo, “centrado en formar Anna único, es siempre también como ver un sueño de la paz, el otro no lo hará Mai o en el mundo también el final de Tokugawa” Ihana’ a la Okumiya Lo fue Fue alrededor de la época de la política represiva que condujo al infierno de Ansei, que se vio obligado a abrir los Estados Unidos después de la huida de Perry. Yataro estaba decepcionado con la falta de una sensación de crisis entre el shogunato y el shogunato. Entonces, Yataro para continuar el estudio con el famoso erudito confuciano en Edo, Tianjin el punto de inflexión de la Kitai de los empresarios lo que iba a haber enseñado aritmética de leñador. Yataroro, que luchaba por ayudar a su padre al regresar a casa después de que su padre recibiera un incidente violento en Tosa, fue encarcelado. En esa prisión, enseñamos matemáticas a la madera que estaba en la misma habitación. Tal vez era una aritmética muy rudimentaria requerida para las transacciones de madera. Sin embargo, Yataro lo abrió. Yataro que estaba estudiando en Japón confucianismo de los estudiosos, a pesar de que suena bastante extraño que enseñó matemáticas a los leñadores, en ese momento, samurai que puede matemáticas en Japón eran pocos. Esto se debe a que esas cuentas de oro, los bajos sabor comerciante de Identification’ll hacer, porque esa ha sido la de ser los que humilde persona a tomar en Bushido. Creo que la actitud de adoptar lo que pensé que era bueno, no ser arrojado por la tendencia de un mundo así, llevó a Yataro a una persona exitosa. Yataro se perfeccionó en la “prisión de la aritmética”, después de la cárcel, el voto del clan Tosa, que había caído en dificultades financieras, son tropas mercenarias a Yoshida Tōyō, que desempeñará un papel como una burocracia económica del clan Tosa. Para visitar Nagasaki, se Yataro se pensaba que a partir de ahora en la industria del transporte marítimo se extiende y se liberaliza el comercio por el gobierno Meiji de 1870, lanzar el Tsukumo Shokai ser un precursor de Mitsubishi. Alquilar un barco de tres naves del clan Tosa, Tokio – Osaka, Kobe – incluyendo el envío entre Kochi, recibió los dos vasos Haraisage al año siguiente, tenemos nuestro propio barco. Mitsubishi dio un salto adelante en los soldados taiwaneses en 1874 y en la guerra del sudoeste en 1877. El gobierno de Meiji compró diez barcos grandes para soldados en Taiwán. Toshimichi Okubo que dirigió fue establecido las tropas, que estaba tratando de transportar las armas tácticas como empresa nacional, Japan Post Steam Ship Company, la empresa no va a recibir esta solicitud con una variedad de razones. Okubo, quien hirvió el negocio, llamó a Yataro y pidió este medio de transporte. Él toma una decisión en el acto. ¿Por qué fue posible tomar una gran decisión pronto? Es una recopilación de información al hacer un buen uso de un montón de conocimiento y conexión íntima mediante estudios feroces. Tenía curiosidad y era una persona que era buena en “sensibilidad de información”. Y los soldados en Taiwán tienen éxito y Mitsubishi recibirá subsidios del gobierno. Pronto la nave 18 buques de la compañía japonesa postal Buque de vapor disuelto, Mitsubishi se hizo cargo de todos de forma gratuita, cambió el nombre del “post barco de vapor Mitsubishi empresa”. Además, nos hicimos cargo del transporte de armas de la guerra del suroeste, y obtuvimos grandes beneficios. Se eleva rápidamente a la parte superior de la industria del envío en Japón. Si oído la historia hasta este punto, el éxito de la Yataro es, y Shikonshosai nació combinan multiplicado por el espíritu hambre y la prisión de la aritmética que viene de una mala luz, podría parecer que es debido a la firmeza de la inherente. Pero creo que Yataro no solo tenía eso, sino también el poder de ver la esencia de las cosas y el extraordinario espíritu emprendedor. Por ejemplo, puede ser de Mitsubishi se convirtió en la compañía de transporte más grande de Japón, una importante compañía naviera P & O vapor de los británicos se llevó la obra de Mitsubishi. Se habría pensado que muchas personas perdieron la competencia salarial. De hecho, sin embargo, la compañía le había proporcionado al cargador un servicio llamado “remitente” utilizando cheques. En pocas palabras, es un servicio que paga los gastos de transporte con el pago después de la finalización del transporte. Para los cargadores, pagar la tarifa de los ingresos que vendieron el artículo hace que el flujo de caja sea más fácil. Esa era la necesidad del cliente tomada por el P & O Steamship. Yataro ve rápidamente esta esencia y establece bancos y compañías de seguros. Es Mitsubishi Bank y Tokio Marine Fire. Mitsubishi está en los dos servicios financieros que los bancos y los seguros, la tranquilidad y al mismo tiempo para facilitar el flujo de efectivo de los clientes también Ubaikaeshi del cliente proporcionando, fue Japón retiró el P & O. La competencia de precios para el negocio del transporte no es esencial. Yaitaro pensó que proporcionar flujo de efectivo y alivio era esencial elevó la clasificación. Yataro se ha cerrado el curso de la vida un poco más corto en los 51 años de edad, ¿por qué era lo sólido como una roca después de la ahora el conglomerado Mitsubishi está, también añadir que era el desarrollo de los recursos humanos. Es él mismo era un gran trabajador terrible, pero el 1872 acaba de lanzar el Tsukumo Shokai, era hermano del Yanosuke (líder segunda generación Mitsubishi zaibatsu) para estudiar en los EE.UU.. Además hijo mayor, el Hisaya (mismo líder de tercera generación) de la Universidad de Pensilvania, Estados Unidos Wharton School, tenemos que estudiar en el extranjero hijo mayor Koyata de Yanosuke (el mismo cuarto líder generación) a la Universidad de Cambridge. Ambos son súper de alto rango en el mundo. Y también reunieron excelentes talentos a su alrededor. Yataro es, por experiencia Noboritsume de Ronin subterránea en Japón de los empresarios, aprender aritmética, lo que toque la punta de la economía mundial sabía que Honkai de gestión. A continuación, el cargado de la experiencia de los hijos e hijas que, precisamente porque no descuidar el desarrollo de los recursos humanos, Mitsubishi es la capacidad para acumular los conglomerados inquebrantable. من نهاية Bakumatsu إلى فترة Meiji ، كان هناك أربعة مبتكرين في اليابان قاموا بتصنيع سلع هائلة. أين كانوا مختلفين؟ لنقدم المقالات المنشورة من العدد الخاص من “الرئيس” (العدد 12 فبراير 2018) “مقدمة عن التاريخ الياباني مفيدة للعمل” في جميع المرات الأربع. والثاني هو “كيفية طرح أعمال Iitasaki Yataro” -. كان مؤسس شركة ميتسوبيشي زاibاتسو ، ياتارو إيواساكي ، ساموراي منخفض جداً عن وضع طقوس عشيرة توسا تحت الأرض. تلقى التمييز المهين من كبار الساموراي، هو ياتارو كان فقيرا كما هي الاحتقار حتى من المزارعين، واشتريت اسم العائلة التي ايواساكي من التعارف قبل بضع سنوات من استعادة ميجي. لم يكن لدي حتى اللقب. في الفقر والتمييز ، كان مسار ياتورو الذي كان لديه روح متمرد قوي وكان يهدف إلى حياة ناجحة أول دراسة الأكاديميين. ومن Yatarou يبدو أخرق، ولكن لاحظ ذكاء واضح ورغبة قوية في التعلم من طفولته، الباحث الكونفوشيوسية الأكثر شهرة في توسا، سوف تتعلم لZosai Okumiya. وأنا مرافقة مكتب Okumiya وانتقل إلى إيدو. في ياتارو شهدت رائع خدمة ديمو إيدو “، التي تركز على آنا تشكيل الشيء الوحيد، إلى الأبد أيضا مثل مشاهدة حلم السلام، والآخر سيكون هناك ماي أو في أيضا في نهاية العالم من توكوغاوا” Ihana “إلى Okumiya كان كذلك. كان ذلك في وقت قريب من السياسة القمعية التي أدت إلى جحيم أنسي ، الذي أجبر على فتح الولايات المتحدة بعد رحلة بيري. خاب أمل ياتارو بسبب عدم وجود شعور بالأزمة بين الشوغونات والشوغونات. ثم، ياتارو مواصلة الدراسة في ظل عالم الكونفوشيوسية الشهيرة في إيدو، وتيانجين نقطة تحول لكيتاي من رجال الأعمال ما كان من المفترض أن يدرس الحساب إلى الحطاب. سجن ياتورو الذي كان يقاتل لمساعدة والده بالعودة إلى منزله بعد أن حصل والده على حادث عنيف في توسا. في هذا السجن ، نقوم بتدريس الرياضيات إلى الخشب الذي كان في نفس الغرفة. ربما كان حسابًا بدائيًا جدًا مطلوبًا لمعاملات الخشب. ومع ذلك ، فتحت ياتارو عليه. ياتارو التي كان يدرس الكونفوشيوسية في اليابان من العلماء، على الرغم من أنه يبدو غريبا جدا أن يدرس الرياضيات في الحطابين، في ذلك الوقت، الساموراي التي يمكن ان الرياضيات في اليابان قليلة. لأن حساب الذهب هو لأنه كان من المفترض أن يكون أسلوب تاجر منخفض المستوى ، وقيل أنه هو حشد من محاربي الساموراي. أعتقد أن موقف تبني ما اعتقدت أنه جيد ، ولم يتم إلقائه في اتجاه مثل هذا العالم ، قاد ياتارو إلى شخص ناجح. وشحذ ياتارو في “سجن الحساب”، بعد السجن، صوت من عشيرة توسا، التي كانت قد سقطت في صعوبات مالية، والقوات المرتزقة إلى يوشيدا تويو، وسوف تلعب دورا باعتباره البيروقراطية الاقتصادية للعشيرة توسا. لزيارة ناغازاكي، وكان يعتقد أن ياتارو من الآن فصاعدا في صناعة النقل البحري الموسعة، وتحرير التجارة من قبل الحكومة ميجي، 1870، إطلاق Tsukumo شوكاي أن يكون سلفه ميتسوبيشي. أقترضت 3 سفن من عشيرة توسا ، بدأت الشحن بين طوكيو – أوساكا ، كوبي – كوتشي ، في العام التالي تلقوا دفعات اثنين منهم ولها سفنهم الخاصة. تقدمت شركة ميتسوبيشي بقفزة إلى الأمام في الجنود التايوانيين في عام 1874 وحرب الجنوب الغربي في عام 1877. اشترت حكومة ميجي عشر سفن كبيرة للجنود في تايوان. Toshimichi أوكوبو الذي أدى تأسست القوات التي كانت تحاول نقل أسلحة تكتيكات كشركة وطنية، شركة البريد اليابانية السفينة البخارية، فإن الشركة لن تلقي هذا الطلب مع مجموعة متنوعة من الأسباب. Okubo الذي أغلى العمل يدعى Yataro وطلبت هذا النقل. يتخذ قرارًا على الفور. لماذا كان من الممكن اتخاذ قرار كبير قريبا؟ هو عبارة عن مجموعة من المعلومات من خلال الاستفادة من الكثير من المعرفة والاتصال الحميم عن طريق الدراسات الشرسة. كان فضوليًا وكان شخصًا جيدًا في “حساسية المعلومات”. وينجح الجنود في تايوان وستتلقى ميتسوبيشي إعانات حكومية. تلقت ميتسوبيشي 18 سفينة تابعة لشركة Japan Steaming Steaming Ship التي سرعان ما تم حلها وحصلت عليها مجاناً ، وأطلق عليها اسم “شركة تبخير البريد ميتسوبيشي”. بالإضافة إلى ذلك ، استلمنا نقل أسلحة حرب الجنوب الغربي ، واكتسبنا فوائد عظيمة. ترتفع بسرعة إلى أعلى صناعة الشحن في اليابان. إذا سمعت القصة حتى هذه اللحظة، نجاح ياتارو هو، ولدت Shikonshosai الجمع بين مضروبا روح الجياع وسجن الحساب الذي يأتي من سوء الولادة، قد يبدو أن ذلك يعود إلى الحسم من المتأصلة. لكنني أعتقد أن ياتارو لم يكن يملك ذلك فحسب ، بل أيضا القدرة على رؤية جوهر الأشياء وروح المغامرة الاستثنائية. على سبيل المثال ، من شركة ميتسوبيشي ، أكبر شركة شحن في اليابان ، سلبت شركة P & O Steamship شركة شحن بريطانية كبرى مهمة Mitsubishi. كان من المعتقد أن العديد من الناس فقدوا منافسة الأجور. ولكن في الواقع ، كانت الشركة قد وفرت للشاحن خدمة تسمى “الشاحن” باستخدام الشيكات. ببساطة ، إنها خدمة تدفع مقابل نفقات النقل بالدفع بعد إتمام النقل. بالنسبة للشاحنين ، فإن دفع الأجرة من الدخل الذي يباع هذا البند يجعل التدفق النقدي أسهل. كان ذلك هو احتياجات العميل التي تم اقتناؤها بواسطة P & O Steamship. يرى ياتارو بسرعة هذا الجوهر ويؤسس البنوك وشركات التأمين. ومن بنك ميتسوبيشي وتوكيو مارين فاير. استخدمت ميتسوبيشي خدمتين ماليتين ، وهما البنوك والتأمين ، لسحب العملاء من P & O عن طريق حرمان العملاء من خلال تسهيل تدفق العملاء للعملاء مع توفير راحة البال أيضًا. المنافسة السعرية لأعمال النقل ليست ضرورية. يعتقد Yaitaro أن توفير التدفق النقدي والإغاثة أمر ضروري أثار الترتيب. على الرغم من أن ياتارو يغلق عمرًا قصيرًا إلى حد ما عن عمر يناهز 51 عامًا ، إلا أنني سأضيف أيضًا أن السبب وراء جعل ميتسوبيشي زايباتسو بمثابة حجر يتبع ذلك هو تنمية الموارد البشرية. هل كان هو نفسه من الصعب للعامل رهيب، ولكن 1872 قد بدأت للتو Tsukumo شوكاي، وكان شقيق Yanosuke و(ميتسوبيشي زيبتسو زعيم الجيل الثاني) للدراسة في الولايات المتحدة. وبالإضافة إلى ذلك الابن الأكبر، Hisaya و(نفس زعيم الجيل الثالث) للجامعة الأمريكية كلية ولاية بنسلفانيا وارتون، لدينا للدراسة في الخارج الابن الأكبر Koyata من Yanosuke (نفس زعيم الجيل الرابع) لجامعة كامبردج. كلاهما رفيع المستوى في العالم. كما أنهم جمعوا مواهب ممتازة حولهم. عرف يطرو من تجاربه في التسابق على ركاب السباق إلى أفضل رجل أعمال في اليابان ، وتعلم الحساب ، ولمس الحافة الرائدة للاقتصاد العالمي ، هو عماد الإدارة. وتمكنت ميتسوبيشي من بناء تشايبول غير المطرد لأن تجاربه تراكمت من قبل أبنائهم ، كما أهملوا تدريب الموارد البشرية. এখন “মিত্সুবিশি, Mitsui, সুমিতমো,” বলেন জাপানের তিনটি তবে বড় শক্তিগুলো মধ্যে নিকটতম মিত্সুবিশি নাম যায়, একটি ধনী বণিক, যা এডো পূর্ববর্তী বছর থেকে 1870 সালে 200 জনেরও বেশী বছর, সুমিতমো এবং পার্থক্য, Yataro হয় 36 বছর বয়সী চলেছিল এর Mitsui আমি এমনকি প্রতিষ্ঠিত পর্যন্ত এমনকি অস্তিত্ব ছিল না এটা শুধুমাত্র 15 বছর পর্যন্ত Yatarro মিত্সুবিশি একটি বিশাল Chaebol তোলে তোলে। কেন Yataro এত সফল হয়ে ওঠে? Do final do período de Bakumatsu até o período Meiji, havia quatro inovadores no Japão que produziam bens enormes. Onde eles eram diferentes? Magazine, “Presidente”, o artigo Publicar características especiais “ajuda para trabalhar história japonesa Introdução” (12 de fevereiro, 2018) tenta introduzir em todas as quatro vezes. O segundo é “Como abrir o negócio de Iitasaki Yataro” -. Fundador da Mitsubishi zaibatsu, Yataro Iwasaki foi muito baixa identificação samurai de ronins subterrânea do clã Tosa (Jige masterless samurai). Recebeu uma discriminação humilhante de samurai sênior, é Yataro foi tão pobres são desprezados até mesmo dos agricultores, eu comprei um último nome que Iwasaki do conhecido há alguns anos da Restauração Meiji. Eu nem sequer tenho um sobrenome. Agora “Mitsubishi, Mitsui, Sumitomo”, disse o Japão três, mas o mais antigo entre os grandes conglomerados é o nome Mitsubishi sobe, Mitsui de um comerciante rico, que durou de Edo ano anterior, mais de 200 anos, Sumitomo e da diferença, Yataro é de 36 anos de idade em 1870 Eu nem sequer existi até fundado em. São apenas 15 anos até Yataroro fazer da Mitsubishi um enorme chaebol. Por que Yataro se tornou tão bem sucedido? Tem um forte espírito rebelde entre a pobreza ea discriminação, a estrada escolhida por Yataro que aspirava ao sucesso na vida é, em primeiro lugar foi para Quest for a bolsa. É Yatarou parece desajeitado, mas observou uma inteligência clara e um forte desejo de aprender de sua infância, o mais conhecido estudioso de Confúcio em Tosa, você vai aprender a Zosai Okumiya. E eu acompanho o escritório de Okumiya e vou para Edo. No Yataro visto um lindo servindo daimyo Edo “focada em Anna formar única coisa, é sempre também como assistir a um sonho de paz, o outro não vai Mai ou no mundo também acabam de Tokugawa” Ihana’ ao Okumiya Foi. É depois Perry, forçou a abertura do país para os Estados Unidos, foi quando eu comecei a política de opressão levando a purga ansei. Yataro ficou desapontado com a falta de uma sensação de crise entre o xogunato e o xogunato. Então, Yataro para continuar o estudo sob o famoso estudioso confucionista em Edo, Tianjin o ponto de viragem para a Kitai de empreendedores que era para ter ensinado aritmética de lenhador. Pai causado a violência em Tosa, também Yataro estava ocupado tentando ajudar o pai voltou para casa foram presos. Naquela prisão, ensinamos matemática à madeira que estava na mesma sala. Talvez tenha sido uma aritmética muito rudimentar necessária para transações madeireiras. No entanto, Yataro abriu. Yataro que estava estudando o confucionismo no Japão de estudiosos, embora pareça bastante estranho que ensinou matemática para os lenhadores, naquela época, samurai que podem matemática no Japão eram poucos. Isso ocorre porque esses que as contas de ouro, os de baixa gosto comerciante de Identification’ll fazer, porque essa tem sido a de ser os humildes pessoa a tomar para Bushido. Tal não derramou no clima do mundo, é adotar a atitude que eu digo, e ele foi levado para as pessoas bem sucedidas do Yataro eu acho. Yataro é afiada na “prisão da aritmética”, depois da prisão, o voto do clã Tosa, que havia caído em dificuldades financeiras, são tropas mercenárias para Yoshida Toyo, ele vai jogar um papel como uma burocracia econômica do clã Tosa. Para visitar Nagasaki, é Yataro pensava-se que a partir de agora a indústria naval é estendido, e é liberalizado o comércio pelo governo Meiji de 1870, lançar o Tsukumo Shokai ser um predecessor Mitsubishi. Alugar um navio de três navios do clã Tosa, Tokyo – Osaka, Kobe – incluindo o transporte entre Kochi, recebeu os dois vasos Haraisage no ano seguinte, temos o nosso próprio navio. A Mitsubishi deu um salto nos soldados de Taiwan em 1874 e na guerra do Sudoeste em 1877. O governo Meiji comprou dez navios de grande porte para soldados em Taiwan. Toshimichi Okubo, que liderou as tropas, que estava tentando transportar as armas táticas foi estabelecida como uma empresa nacional, Japan Post Steam Ship Company, a empresa não vai receber este pedido com uma variedade de razões. Okubo que cozinhou o negócio chamado Yataro e pediu este transporte. Ele toma uma decisão no local. Por que foi possível tomar uma grande decisão em breve? É uma coleção de informações, fazendo bom uso de muito conhecimento e conexão íntima por estudos ferozes. Ele estava curioso e ele era uma pessoa que era boa em “sensibilidade à informação”. E os soldados em Taiwan terão sucesso e a Mitsubishi receberá subsídios do governo. Logo o navio 18 navios da dissolvida postal Empresa Steam Ship japonês, Mitsubishi assumiu em tudo gratuitamente, rebatizado de “pós navio a vapor Mitsubishi empresa”. Além disso, assumimos o transporte de armas da guerra do sudoeste e obtivemos grandes benefícios. Ele sobe rapidamente para o topo da indústria naval no Japão. Se você ouviu a história até este ponto, o sucesso do Yataro é, e Shikonshosai nasceu combinam multiplicado pelo espírito com fome e prisão de aritmética que vem de má nascimento, pode parecer para ser devido à determinação da inerente. No entanto, em Yataro Não só isso, o poder de ver através da essência das coisas, e havia uma espécie excepcional espírito venture eu acho. Por exemplo, você pode ser de Mitsubishi se tornou a maior empresa de transporte no Japão, uma grande companhia de navegação P & O vapor do britânico tirou o trabalho de Mitsubishi. Pensaria que muitas pessoas perderam a competição salarial. Na verdade, no entanto, a empresa fornecia ao remetente um serviço chamado “remetente” usando cheques. Simplificando, é um serviço que paga as despesas de transporte com o pagamento após a conclusão do transporte. Para os expedidores, pagar a tarifa com a renda que vendeu o item facilita o fluxo de caixa. Essa foi a necessidade do cliente agarrada pelo P & O Steamship. Yataro rapidamente vê essa essência e estabelece bancos e seguradoras. É o Mitsubishi Bank e o Tokio Marine Fire. Mitsubishi está nos dois serviços financeiros que os bancos e seguros, paz de espírito e, ao mesmo tempo para facilitar o fluxo de caixa dos clientes também Ubaikaeshi o cliente, fornecendo, foi o Japão retirou a P & O. Concorrência de preços para o negócio de transporte não é essencial. Yaitaro achava que fornecer fluxo de caixa e alívio era essencial para elevar o ranking. Yataro foi fechado o tempo de vida ligeiramente mais curto na 51-year-old, porque era o que rock-solid seguindo o agora o conglomerado Mitsubishi é, também gostaria de acrescentar que foi o desenvolvimento de recursos humanos. É ele próprio era um terrível trabalhador duro, mas de 1872 acaba de lançar o Tsukumo Shokai, era irmão-Yanosuke o (líder da segunda geração Mitsubishi zaibatsu) para estudar nos EUA. Além filho mais velho, Hisaya o (mesmo líder de terceira geração) para a Universidade da Pensilvânia US Wharton School, temos que estudar no exterior filho mais velho Koyata de Yanosuke (o mesmo líder quarta geração) para a Universidade de Cambridge. Ambos são super altos no ranking mundial. E eles também reuniram excelentes talentos ao seu redor. Yataro é, a partir da experiência Noboritsume de Ronin subterrânea no Japão de empresários, aprender aritmética, o que tocar com a ponta da economia mundial sabia que Honkai de gestão. Em seguida, o carregado com a experiência de filhos e filhas que, precisamente porque eles não negligenciar o desenvolvimento de recursos humanos, a Mitsubishi é a capacidade de acumular os conglomerados inabalável. С конца периода Бакумацу до Мэйдзи в Японии было четыре новатора, которые делали огромные товары. Где они были разные? Введем опубликованные статьи из специального выпуска «Президент» (12 февраля 2018 года) «Введение в японскую историю, полезную для работы» всего четыре раза. Второй – «Как воспитывать бизнес Итасаки Ятаро» -. Основатель Mitsubishi Zaibatsu, Ятору Ивасаки, был очень низким самураем статуса подземного ритуала клана Тоса (кусок груши). Ятаро, который получил унизительную дискриминацию у старшего самурая и был достаточно бедным, чтобы быть презираемым фермерами, купил фамилию Ивасаки из своего знакомого за несколько лет до восстановления Мэйдзи. У меня даже не было фамилии. В настоящее время Mitsubishi, Mitsui, Sumitomo и Mitsubishi названы в честь трех крупнейших chaebols в Японии, но в отличие от Mitsui, Sumitomo, роскошного торговца, который работает более 200 лет со времен Эдо, Яторору было 36 лет в 1870 году Я даже даже не существовал, пока не основал. Это всего лишь 15 лет, пока Ятароро не делает Mitsubishi огромным чаболом. Почему Ятаро стал настолько успешным? В бедности и дискриминации путь, который Ятароро, у которого был сильный мятежный дух и нацеленный на успешную жизнь, состоял в том, чтобы сначала изучить ученых. Хотя Ятаро похож на храбрость, он признан сильной искренностью детства и четким интеллектом, учись у самого знаменитого конфуцианского ученого Токусы Окумии Сусаиды. И я сопровождаю офис Окумии и отправляюсь в Эдо. Ятору, который увидел роскошный Даймё в эпоху Эдо, сказал: «Я буду подчеркивать только в такой форме, если навсегда кажется мечтой о Тайпине, мне интересно, если подземный мир Токугавы уже в конце», – сказала Окумия Это было. Это было во времена репрессивной политики, ведущей к ад Ансей, который был вынужден открыть Соединенные Штаты после полета Перри. Ятаро был разочарован отсутствием чувства кризиса между сёгунатом и сёгунатом. После этого поворотным моментом в том, что Ятароро, который продолжает учиться у знаменитых конфуцианских ученых в Эдо, превратился в редкого предпринимателя, он узнал арифметику на пиломатериале. Ятароро, который сражался, чтобы помочь отцу, вернувшись домой после того, как его отец получил насильственный инцидент в Тоса, был заключен в тюрьму. В этой тюрьме мы преподаем математику пиломатериалу, который был в одной комнате. Возможно, это была очень рудиментарная арифметика, необходимая для сделок с пиломатериалами. Однако Ятаро открыл его. Странно говорить, что Ятаро, изучавший конфуцианство первому ученому в Японии, казался странным преподавать математику дровосеку, но в то время в Японии было мало самураев, способных делать арифметику. Потому что золотой счет – это потому, что он должен был быть низкопоставленным торговым стилем, и было сказано, что это толпа самурайских воинов. Я думаю, что отношение к принятию того, что я считал хорошим, не вызванное тенденцией такого мира, привело Ятаро к успешному человеку. Ятаро уточнит эту «арифметику тюрьмы» и будет нести роль экономической бюрократии клана Тоса, пригласив участие клана Тоса в клан Тоса, Йошида Ориентал, который испытывал финансовые трудности после тюрьмы. Посещая Нагасаки и думая, что индустрия судоходства будет расти с этого момента, когда коммерческая сделка будет либерализована правительством Мэйдзи, в 1870 году мы запустим девяносто девять бизнес, который является предшественником Mitsubishi. Я занял 3 судна клана Тоса, начал поставки между Токио – Осакой, Кобе – Кочи, в следующем году они получили выплаты двух из них и имели свои собственные суда. Mitsubishi сделала рывок вперед в тайваньских солдатах в 1874 году и юго-западной войне в 1877 году. Правительство Мэйдзи купило десять больших кораблей для солдат на Тайване. Тошимичи Окубо, возглавлявший отправку, пытался перевозить оружие оружия японской паровой компании Японии, созданной в качестве национальной компании по вопросам политики, но компания не пыталась получить эту просьбу по разным причинам. Окубо, который кипятил бизнес под названием Ятаро и попросил эту перевозку. Он принимает решение на месте. Почему можно было принять большое решение в ближайшее время? Это сбор информации, позволяющий использовать много знаний и интимную связь в результате жестоких исследований. Ему было любопытно, и он был человеком, который хорошо разбирался в «информационной чувствительности». И солдаты на Тайване преуспевают, и Mitsubishi получит правительственные субсидии. Mitsubishi получила 18 судов японской компании Steaming Steaming Ship, которая вскоре была расформирована и получила ее бесплатно, переименовав ее в «Postal Steaming Mitsubishi Company». Кроме того, мы взяли на себя транспортировку оружия юго-западной войны и получили большие преимущества. Он быстро поднимается на вершину судоходной отрасли в Японии. Если вы слушаете историю до сих пор, успех Ютаро может казаться результатом его собственной способности принимать решения, с духовным бизнесменом, который родился с голодным духом, приходящим от плохих родов, и арифметика тюрьмы умножилась. Но я думаю, что у Ятаро было не только это, но и сила, чтобы увидеть сущность вещей и необычный дух духа. Например, от Mitsubishi, крупнейшей судоходной компании в Японии, британская крупная судоходная компания P & O Steamship лишила работу Mitsubishi. Считалось бы, что многие люди потеряли конкуренцию в оплате труда. Фактически, однако, компания предоставила грузоотправителю услугу под названием «грузоотправитель» с использованием чеков. Проще говоря, это услуга, которая оплачивает транспортные расходы с оплатой после завершения транспортировки. Для грузоотправителей плата за проезд из дохода, который продал товар, облегчает денежный поток. Это были потребности клиентов, захваченные пароходом P & O.
Ятаро быстро видит эту суть и создает банки и страховые компании. Это Mitsubishi Bank и Tokio Marine Fire. Mitsubishi использовала две финансовые услуги, банковскую и страховую деятельность, чтобы вывести клиентов из P & O, лишив клиентов, упростив поток наличных средств клиентам, а также предложив спокойствие. Ценовая конкуренция за транспортный бизнес не является существенной. Ятиро считал, что обеспечение денежного потока и облегчение важности подняли рейтинг. Хотя Yataro закрывает довольно короткий срок службы в возрасте 51 года, я также добавлю, что причиной того, что Mitsubishi Zaibatsu является камнем, который следует за развитием людских ресурсов. Сам он также был потрясающим учеником, но в 1872 году он основал девяносто девять торговых компаний, и его брат · Яоносукэ (генерал второго поколения генерала Мицубиси Зайбацу) учился в Соединенных Штатах. Кроме того, мой сын и Хисая (генерал 3-го поколения) учатся в Школе Уортона в Университете Пенсильвании в Вашингтонской школе и старшем сыне Яёносуке, Комита (генерал 4-го поколения) в Кембриджском университете. Оба являются супер высокопоставленными в мире. И они также собрали отличные таланты вокруг них. Ятару знал о своем опыте стремительных подпольных гонщиков к лучшему бизнесмену в Японии, изучению арифметики и прикосновению к передовой мировой экономике является опорой управления. И Мицубиси удалось построить неустрашимый чабол, потому что его опыт был накоплен их детьми, и они также пренебрегли обучением человеческих ресурсов. Vom Ende der Bakumatsu bis zur Meiji-Zeit gab es in Japan vier Innovatoren, die enorme Waren produzierten. Wo waren sie anders? Lassen Sie uns die Artikel aus der Sonderausgabe “Präsident” (Ausgabe vom 12. Februar 2018) “Einführung in die japanische Geschichte, die für die Arbeit nützlich ist” in allen vier Fällen vorstellen. Die zweite ist “Wie man das Geschäft von Iitasaki Yataro aufrichtet”. Gründer des Mitsubishi zaibatsu, Yataro Iwasaki war sehr niedrig samurai Identifizierung von unterirdischen ronin des Tosa Clan (Jige masterless samurai). Erhielt eine erniedrigende Diskriminierung von älterer Samurai ist Yataro so arm war auch von den Bauern Verachtete, kaufte ich einen Nachnamen, dass Iwasaki von Bekannten vor ein paar Jahren der Meiji-Restauration. Ich hatte nicht einmal einen Nachnamen. Jetzt „Mitsubishi, Mitsui, Sumitomo“, sagte Japan drei aber die früheste unter dem großen Konglomeraten ist der Mitsubishi Name geht nach oben, Mitsui eines reichen Kaufmanns, der von Edo Vorjahr dauerte mehr als 200 Jahre, Sumitomo und Differenz, Yataro ist 36-jährige im Jahr 1870 Ich existierte sogar nicht einmal, bis ich gegründet wurde. Es ist nur 15 Jahre, bis Yataroro Mitsubishi ein riesiges Chaebol macht. Warum wurde Yataro so erfolgreich? In der Armut und Diskriminierung war der Weg, den Yataroro, der einen starken rebellischen Geist hatte und auf ein erfolgreiches Leben abzielte, darin bestand, zuerst Akademiker zu studieren. Es ist Yatarou sieht unbeholfen, aber beobachtete eine klare Intelligenz und ein starker Wunsch seiner Kindheit zu lernen, die berühmteste konfuzianischen Gelehrten in Tosa, Sie Zosai Okumiya lernen. Und ich begleite das Büro von Okumiya und gehe nach Edo. Im Yataro eine wunderschöne Portion Daimyo Edo „auf Anna nur Sache bildet, ist immer auch beobachten, wie ein Traum von Frieden konzentriert, der andere wird es Mai oder in der auch enden Welt des Tokugawa“ gesehen Ihana‘zum Okumiya Es war. Es war die Zeit der repressiven Politik, die zu Ansei ‘s Hölle führte, die nach Perrys Flucht gezwungen wurde, die Vereinigten Staaten zu öffnen. Yataro war enttäuscht von dem Mangel an einem Gefühl der Krise zwischen dem Shogunat und dem Shogunat. Dann Yataro die Studie unter dem berühmten konfuzianischen Gelehrten in Edo, Tianjin der Wendepunkt zum Kitai der Unternehmer fortzusetzen, was Arithmetik Holzfällers werden sollte gelehrt. Yataroro, der kämpfte, um seinem Vater zu helfen, indem er nach Hause zurückkehrte, nachdem sein Vater einen heftigen Zwischenfall in Tosa hatte, wurde eingesperrt. In diesem Gefängnis unterrichten wir das Bauholz, das sich im selben Raum befand. Vielleicht war es eine sehr rudimentäre Arithmetik für Holztransaktionen. Yataro öffnete es jedoch. Yataro den Konfuzianismus in Japan von Gelehrter studiert, obwohl es ziemlich seltsam klingt, dass die Mathematik zu den Holzfällern gelehrt, zu dieser Zeit, Samurai, die Mathematik in Japan nur wenige waren. Weil Goldaccount ist, weil es ein niedrigrangiger Händlerstil sein sollte, und es wurde gesagt, dass es eine Menge von Samurai-Kriegern ist. Ich denke, dass die Einstellung, das zu übernehmen, was ich für gut hielt, nicht durch den Trend einer solchen Welt verursacht wurde, Yataro zu einer erfolgreichen Person führte. Yataro wird im „Gefängnis der Arithmetik“ geschliffen, nach Gefängnis, Stimme des Tosa-Clans, die in finanzielle Schwierigkeiten geraten waren, sind Söldnertruppen zu Yoshida Toyo, wird es eine Rolle als Wirtschaftsbürokratie des Tosa-Clans spielen. Zu besichtigen Nagasaki wird Yataro wurde angenommen, dass von jetzt an die Schifffahrtsindustrie wird erweitert und wird liberalisiert Handel von der Meiji-Regierung 1870, starten Sie das Tsukumo Shokai ein Mitsubishi Vorgänger zu sein. Ich lieh mir drei Schiffe des Tosa-Clans aus, begann mit der Verschiffung zwischen Tokio – Osaka, Kobe – Kochi, im folgenden Jahr erhielten sie zwei Auszahlungen und hatten ihre eigenen Schiffe. Mitsubishi machte 1874 einen Sprung nach vorn bei den taiwanesischen Soldaten und 1877 den Südwestkrieg. Die Meiji-Regierung kaufte zehn große Schiffe für Soldaten in Taiwan. Toshimichi Okubo, der die Truppen geführt, die die Taktik Waffen zu transportieren versucht, wurden als nationale Firma gegründet, Japan Post Steam Ship Company, das Unternehmen habe sich nicht diese Anforderung mit einer Vielzahl von Gründen zu erhalten. Okubo, der das Geschäft namens Yataro kochte und um diesen Transport bat. Er trifft eine Entscheidung auf der Stelle. Warum war es möglich, bald eine große Entscheidung zu treffen? Es ist eine Sammlung von Informationen, die viel Wissen und intime Verbindung durch heftige Studien nutzen. Er war neugierig und er war eine Person, die gut in “Informationssensibilität” war. Und die Soldaten in Taiwan sind erfolgreich und Mitsubishi wird staatliche Subventionen erhalten. Mitsubishi erhielt 18 Schiffe der Japan Steaming Steaming Ship Company, die sich bald auflösten und kostenlos erhielten, benannten sie in “Postal Steaming Mitsubishi Company” um. Außerdem haben wir den Transport von Waffen im Südwestkrieg übernommen und große Vorteile erzielt. Es steigt schnell an die Spitze der Schifffahrtsindustrie in Japan. Wenn Sie die Geschichte bis zu diesem Punkt gehört, der Erfolg des Yataro ist, und Shikonshosai wurde Mähdreschers von hungrigen Geist und Gefängnis der Arithmetik geboren multipliziert, der aus armen Geburt kommt, könnte es scheinen, aufgrund Entschieden inhärenter zu sein. Aber ich denke, Yataro hatte nicht nur das, sondern auch die Kraft, das Wesen der Dinge und den außergewöhnlichen Risikogeist zu sehen. Zum Beispiel, von Mitsubishi, Japans größter Reederei, raubte eine britische Großreederei P & O Steamship Mitsubishi den Job. Man hätte gedacht, dass viele Menschen den Lohnwettbewerb verloren haben. Tatsächlich hatte das Unternehmen dem Versender jedoch einen Scheck namens “Versender” zur Verfügung gestellt. Einfach ausgedrückt, ist es eine Dienstleistung, die die Transportkosten nach Abschluss des Transports bezahlt. Für Verlader erleichtert die Zahlung des Preises aus dem Einkommen, das den Artikel verkauft, den Cashflow. Das waren die Kundenbedürfnisse, die von P & O Steamship gepackt wurden. Yataro sieht schnell diese Essenz und etabliert Banken und Versicherungen. Es ist Mitsubishi Bank und Tokio Marine Fire. Mitsubishi nutzte zwei Finanzdienstleistungen, Banken und Versicherungen, um Kunden von P & O abzuziehen, indem es seinen Kunden den Cash Flow erleichterte und gleichzeitig Sicherheit bot. Preiswettbewerb für das Transportgeschäft ist nicht notwendig. Yaitaro war der Ansicht, dass die Bereitstellung von Cash Flow und Erleichterung wesentlich das Ranking erhöht. Obwohl Yataro im Alter von 51 Jahren eine ziemlich kurze Lebensspanne schließt, möchte ich hinzufügen, dass der Grund für die Entwicklung von Mitsubishi Zaibatsu als ein Stein die Entwicklung der Personalentwicklung ist. Ist er selbst war ein schrecklicher harter Arbeiter, aber die 1872 hat gerade die Tsukumo Shokai, war Bruder-Yanosuke des (Mitsubishi zaibatsu zweite Generation Leiter) in den USA zu studieren. Darüber hinaus ältester Sohn, Hisaya der (gleiche dritte Generation Leiter) an die US-University of Pennsylvania Wharton School, müssen wir im Ausland ältesten Sohn Koyata von Yanosuke (der gleichen vierten Generation Leiter) an der Universität von Cambridge studieren. Beide sind super hochrangig in der Welt. Und sie haben auch hervorragende Talente um sich herum gesammelt. Yatarou wusste von seinen Erfahrungen, dass er den besten Geschäftsmann Japans unter die Erde jagen musste. Er lernte die Arithmetik und berührte die Spitze der Weltwirtschaft als Hauptstütze des Managements. Und Mitsubishi war in der Lage, ein unerschrockenes Chaebol zu bauen, weil seine Erfahrungen von ihren Kindern gesammelt wurden und sie auch die Ausbildung von Personal vernachlässigten. De la fin du Bakumatsu à la période Meiji, il y avait quatre innovateurs au Japon qui fabriquaient d’énormes biens. Où étaient-ils différents? Présentons les articles publiés dans le numéro spécial de “President” (numéro du 12 février 2018) “Introduction à l’histoire du Japon utile au travail” dans les quatre temps. La seconde est “Comment élever les affaires de Iitasaki Yataro” -. Fondateur de l’identification Mitsubishi Zaibatsu, Yataro Iwasaki était samouraï très faible ronin souterrain du clan Tosa (Jige samurai masterless). A reçu une discrimination humiliante de samouraïs haut, est Yataro était aussi pauvre sont méprisés même des agriculteurs, je l’ai acheté un nom de famille qui Iwasaki de la connaissance il y a quelques années de la Restauration Meiji. Je n’avais même pas de nom de famille. Maintenant « Mitsubishi, Mitsui, Sumitomo », a déclaré trois du Japon, mais le premier parmi les grands conglomérats est le nom Mitsubishi monte, Mitsui d’un riche marchand, qui a duré de l’année précédente Edo plus de 200 ans, Sumitomo et la différence, Yataro est de 36 ans en 1870 Je n’ai même pas existé jusqu’à sa fondation en. Il ne reste que 15 ans avant que Yataroro fasse de Mitsubishi un énorme chaebol. Pourquoi Yataro a-t-il eu autant de succès? Dans la pauvreté et la discrimination, le chemin que Yataroro avait un fort esprit rebelle et qui visait une vie réussie était d’abord d’étudier les universitaires. Il est Yatarou semble maladroite, mais a observé une intelligence claire et un fort désir d’apprendre de son enfance, le plus célèbre savant confucéen à Tosa, vous apprendrez à Zosai Okumiya. Et j’accompagne le bureau d’Okumiya et vais à Edo. Dans le Yataro vu un magnifique service daimyo Edo, « concentré sur Anna forme seule chose, est aussi toujours comme regarder un rêve de paix, l’autre il y aura Mai ou à la fin aussi du monde Tokugawa » Ihana » au Okumiya C’était. C’était à l’époque de la politique répressive menant à l’enfer d’Ansei, qui a été forcé d’ouvrir les États-Unis après la fuite de Perry. Yataro était déçu de l’absence de sentiment de crise entre le shogunat et le shogunat. Ensuite, Yataro de poursuivre l’étude dans le cadre du célèbre savant confucéen à Edo, Tianjin point tournant à la Kitai des entrepreneurs ce qui devait être enseigné à l’arithmétique bucheron. Yataroro qui se battait pour aider son père en rentrant chez lui après que son père ait eu un incident violent à Tosa a été emprisonné. Dans cette prison, nous enseignons les mathématiques au bois qui était dans la même pièce. C’était peut-être une arithmétique très rudimentaire requise pour les transactions sur le bois d’oeuvre. Cependant, Yataro l’a ouvert. Yataro qui étudiait confucianisme au Japon des savants, mais il semble tout à fait étrange que enseigné les mathématiques aux bucherons, à ce moment-là, les samouraïs qui peut les mathématiques au Japon étaient peu nombreux. Parce que le compte d’or est parce qu’il était censé être un style marchand de bas rang, et il a été dit que c’est une foule de guerriers samouraïs. Je pense que l’attitude d’adopter ce que je pensais être bon, ne pas être jeté par la tendance d’un tel monde, a conduit Yataro à une personne qui a réussi. Yataro est adouci dans la « prison de l’arithmétique », après la prison, vote du clan Tosa, qui était tombé en difficultés financières, sont des troupes mercenaires à Yoshida Toyo, il jouera un rôle de la bureaucratie économique du clan Tosa. Pour visiter Nagasaki, on Yataro pensait que désormais l’industrie du transport maritime est prolongée, et est libéralisé le commerce par le gouvernement Meiji, 1870, lancer le Tsukumo Shokai être un prédécesseur Mitsubishi. Location de trois navires navire du clan Tosa, Tokyo – Osaka, Kobe – y compris l’expédition entre Kochi, a reçu les deux d’entre eux des navires Haraisage l’année suivante, nous avons notre propre navire. Mitsubishi fait un bond en avant dans les soldats taiwanais en 1874 et la guerre du Sud-Ouest en 1877. Le gouvernement Meiji a acheté dix grands navires pour des soldats à Taiwan. Toshimichi Okubo qui a dirigé les troupes, qui cherchait à transporter les armes tactiques a été créée en tant que société nationale, Japan Post Steam Ship Company, la société n’a pas va recevoir cette demande avec une variété de raisons. Okubo qui a fait bouillir l’entreprise appelée Yataro et a demandé ce transport. Il prend une décision sur place. Pourquoi était-il possible de prendre une décision importante bientôt? 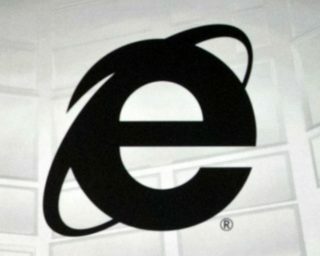 C’est une collection d’informations en faisant bon usage de beaucoup de connaissances et de liens intimes par des études féroces. Il était curieux et il était une personne qui était douée pour la «sensibilité de l’information». Et les soldats à Taiwan réussissent et Mitsubishi recevra des subventions du gouvernement. Bientôt les 18 bateaux navire de la poste japonaise Steam Ship Company démantelée, Mitsubishi a repris en tout gratuitement, rebaptisé « Steamship poste société Mitsubishi ». En outre, nous avons pris en charge le transport des armes de la guerre du sud-ouest, et obtenu de grands avantages. Il se hisse rapidement au sommet de l’industrie du transport maritime au Japon. Si vous avez entendu l’histoire jusqu’à ce point, le succès de la Yataro est, et Shikonshosai est né multiplié par moissonneuse-batteuse esprit faim et la prison de l’arithmétique qui vient d’une mauvaise naissance, il peut sembler être dû à des inhérent de décision. Mais je pense que Yataro n’a pas seulement cela, mais aussi le pouvoir de voir l’essence des choses et l’esprit d’aventure extraordinaire. Par exemple, de Mitsubishi, la plus grande compagnie maritime du Japon, une grande compagnie maritime britannique P & O Steamship a volé le travail de Mitsubishi. On aurait pensé que beaucoup de gens perdaient la compétition salariale. En fait, toutefois, l’entreprise avait fourni à l’expéditeur un service appelé «expéditeur» au moyen de chèques. En termes simples, c’est un service qui paie les frais de transport avec paiement après l’achèvement du transport. Pour les expéditeurs, payer le tarif sur le revenu qui a vendu l’article facilite la trésorerie. Ce sont les besoins des clients saisis par le P & O Steamship. Yataro voit rapidement cette essence et crée des banques et des compagnies d’assurance. C’est Mitsubishi Bank et Tokio Marine Fire. Mitsubishi est dans les deux services financiers que les banques et les assurances, la tranquillité d’esprit et en même temps pour faciliter les flux de trésorerie des clients Ubaikaeshi également le client en fournissant, il a été le Japon a retiré le P & O. La concurrence par les prix pour les entreprises de transport n’est pas essentielle. Yaitaro pensait que fournir des flux de trésorerie et de secours était essentiel a augmenté le classement. Yataro a été fermé la plus courte durée de vie un peu dans le 51 ans, pourquoi est ce solide comme le roc qui suit le maintenant le conglomérat Mitsubishi est, comme aussi d’ajouter que le développement était des ressources humaines. il est lui-même était un travailleur horrible dur, mais le 1872 vient de lancer le Tsukumo Shokai, était le frère-Yanosuke la (deuxième génération Mitsubishi Zaibatsu chef) d’étudier aux États-Unis. De plus le fils aîné, Hisaya le (même leader de troisième génération) à l’Université de Pennsylvanie Wharton School, nous devons étudier à l’étranger fils aîné de Koyata Yanosuke (le même quatrième chef de génération) à l’Université de Cambridge. Les deux sont super haut rang dans le monde. Et ils ont également rassemblé d’excellents talents autour d’eux. Yataro est, de l’expérience Noboritsume de Ronin souterrain au Japon d’entrepreneurs, d’apprendre l’arithmétique, ce toucher la pointe de l’économie mondiale savait qu’il Honkai de la direction. Et Mitsubishi a été capable de construire un chaebol intrépide parce que ses expériences avaient été accumulées par leurs enfants et ils ont également négligé de former des ressources humaines. Bakumatsu’nun bitiminden Meiji dönemine kadar Japonya’da muazzam mallar üreten dört yenilikçi vardı. Nerede farklılardı? Dergi, “Başkan” Post makale özel özellikler arasında (12 Şubat 2018) “yardım Japon Geçmişi Giriş çalışmak” Her dört kez tanıtmak çalışır. İkincisi “Iitasaki Yataro’nun işini nasıl büyüteceğiz”. Mitsubishi Zaibatsu’ların kurucusu Yataro Iwasaki Tosa klan altı ronin (Jige efendisiz Samurai) çok düşük Samurai tespit edilmesiydi. Üst düzey samuraylar bir alçaltıcı ayrımcılık Alınan, Yataro çiftçilerden bile hor gibi zayıftı, ben bir soyadı aldığım Iwasaki Meiji Restorasyonu birkaç yıl önce tanıdık gelen. Soyadım bile yoktu. Şimdi “Mitsubishi, Mitsui, Sumitomo,” dedi Japonya üç fakat büyük holdingler arasında en erken Mitsubishi adı yükselir ise, 1870 yılında Edo önceki yıla 200 yıldan, Sumitomo ve fark Yataro olan 36 yaşındaki süren zengin bir tüccarın, Mitsui Kurulana kadar bile yoktu bile. Yataroro’nun Mitsubishi’yi büyük bir kovalamaca yapmasına sadece 15 yıl kaldı. Yataro neden bu kadar başarılı oldu? yoksulluk ve ayrımcılık arasında güçlü bir asi ruhunu Has, hayatta başarıya talip Yataro seçtiği yol, öncelikle burs için Quest oldu. Bu Yatarou beceriksiz görünüyor, ama net bir zeka ve onun çocukluk, Tosa en ünlü Konfüçyüs bilgin öğrenmek için güçlü bir arzu, sen Zosai Okumiya öğrenecektir gözlemledi. Ve Okumiya ofisine eşlik edip Edo’ya giderim. muhteşem hizmet veren Daimyo Edo görülen Yataro, In ihana’ Okumiya için “tek şey formu Anna odaklanmış, barış rüya izlemek gibi aynı zamanda orada sonsuza olacak Mai veya Tokugawa da sona dünyada diğeri” Öyleydi. Bu Perry, ABD’ye ülke açılmasını zorunlu sonra ben tasfiye Ansei yol açan baskı siyaseti başladığı olmasıdır. Yataro, shogunate ve shogunate arasındaki bir kriz duygusunun eksikliğinden dolayı hayal kırıklığına uğradı. Ardından, Yataro Edo’daki ünlü Konfüçyüs bilgin altında çalışmaya devam etmek, Tianjin ne girişimcilerin Kitai için dönüm noktası oduncudan için aritmetik öğrettin etmek. Baba da Yataro ev tutsak edildiğine döndü babasına yardım etmeye çalışıyorum meşgul, Tosa’daki şiddeti neden oldu. O hapishanede, aynı odada bulunan keresteye matematiği öğretiriz. Belki de kereste işlemleri için gerekli olan çok ilkel bir aritmetik oldu. Ancak Yataro açtı. o zamanlarda, lumberjacks için matematik öğretilen oldukça garip geliyor olsa Yataro, bilim adamlarının Japonya’da Japonya’da matematik azdı olabilir samuray Konfüçyüsçülük’ü incelemekte olduğunu. Bu kişiler altın hesapları, çünkü o mütevazı kişi Bushido götürmek için olanlar olmuştur, çünkü Identification’ll olanlar düşük tüccar tat, yok. Bir dünya ikliminde dökmeyen Bu meseleyle diyorum tavır ve o Yataro bence başarılı insanlara önderlik etti. Yataro Hapisten çıktıktan sonra, finansal sorunlar düşmüştü Tosa çetesinin oy, Yoshida Toyo için paralı asker var, “aritmetik cezaevinde” in honlanmıştır, bu Tosa klanının bir ekonomik bürokrasi olarak rol oynayacaktır. Nagasaki ziyaret için, Yataro nakliye sektöründe artık Mitsubishi selefi olmak Tsukumo Shokai başlatmak, uzatılır ve Meiji hükümeti, 1870 tarafından ticaret serbestleştirilmiş olduğu düşünülüyordu edilmektedir. Osaka, Kobe – – Tosa klanının, Tokyo üç gemi gemi kiralama Kochi arasındaki nakliye dahil, gemiler Ertesi yıl Haraisage ikisi, kendi gemi var aldı. Mitsubishi 1874’de Tayvanlı askerlerde ve 1877’de Güneybatı Savaşı’nda bir sıçrama yaptı. Meiji hükümeti Tayvan’da askere on büyük gemi satın aldı. taktik silah taşımak için çalışıyordu birlikleri, ulusal bir şirket, Japonya Mesaj Buhar Gemi Şirketi olarak kuruldu led Toshimichi Okubo, şirket çeşitli nedenlerle bu isteği almak için gidiş değildi. Yataro adlı işi kaynatmış olan Okubo bu taşımayı istedi. Oraya bir karar verir. Yakında neden büyük bir karar vermek mümkün oldu? Bu, şiddetli çalışmalar ile çok fazla bilgi ve samimi bağlantıdan faydalanarak bilgi topluluğudur. Merak ediyordu ve “bilgi duyarlılığı” nda iyi olan bir kişiydi. Tayvan’daki askerler başarılı oldu ve Mitsubishi hükümet sübvansiyonları alacak. Yakında dağıldı Japonca posta Buhar Gemi Şirketi 18 gemiler gemi, Mitsubishi, tüm ücretsiz devralan “post vapur Mitsubishi şirketi” adını. Ayrıca, güneybatı savaş silahlarının taşınmasını da ele geçirdik ve büyük faydalar kazandık. Japonya’daki nakliye endüstrisinin zirvesine hızla yükseliyor. Bu noktaya hikaye duyduysanız Yataro başarısı olduğunu ve Shikonshosai aç ruhu ve fakir doğumdan gelen aritmetiğin cezaevinde ile çarpılarak biçerdöveri doğdu, bunun nedeni içsel belirleyiciliğini için olmak görünebilir. Ama sanırım Yataro’nun sadece bu değil, aynı zamanda şeylerin özünü ve olağanüstü girişim ruhunu görme gücü de vardı. Örneğin, Mitsubishi Japonya’daki en büyük kargo şirketi, İngilizlerin P & O vapur Mitsubishi çalışmalarını götürdü önemli gemicilik şirketi oldu olabilir. Birçok insanın ücret rekabeti kaybettiği düşünülüyordu. Ancak, şirket, göndericiyi, çekleri kullanarak “gönderen” adlı bir hizmet vermişti. Basitçe ifade edersek, nakliye tamamlandıktan sonra ödeme ile birlikte nakliye masraflarını ödeyen bir hizmettir. Taşıtanlar için, öğeyi satılan gelirin ücretini ödemek, nakit akışını kolaylaştırır. Bu P & O Vapur tarafından yakalanan müşteri ihtiyaçları oldu. Yataro bu özü hızla görüyor ve bankaları ve sigorta şirketlerini kuruyor. Mitsubishi Bank ve Tokio Marine Fire. Mitsubishi banka ve sigorta, aklın ve müşterilerin nakit akışını kolaylaştırmak için aynı anda barış da sunarak müşteri Ubaikaeshi iki mali hizmetlerde, bu Japonya P & O. çekildi oldu Nakliye işi için fiyat rekabeti şart değildir. Yaitaro, nakit akışı ve rahatlama sağlama şartının sıralamanın yükseltilmesi gerektiğini düşündü. Şimdi Mitsubishi çakıltaşı, ayrıca insan kaynakları geliştirme olduğunu eklemek ister ne kaya gibi sağlam aşağıdaki neden Yataro, 51 yaşındaki de biraz daha kısa ömür kapatıldı. Mı kendisi korkunç çalışkandı, ama 1872, Tsukumo Shokai başlattı ABD’de eğitim almak kardeşi-Yanosuke (Mitsubishi zaibatsu ikinci nesil lideri) idi sadece gelmiştir. Pennsylvania Wharton School ABD Üniversitesine katkı büyük oğlu Hisaya (aynı üçüncü nesil lideri), biz yurtdışında eğitim Cambridge Üniversitesi’ne Yanosuke en büyük oğlu Koyata (aynı dördüncü nesil lideri) gerekmektedir. Her ikisi de dünyada süper üst düzeydir. Ve onlar da etraflarında mükemmel yetenekler topladılar. Yataro girişimcilerin Japonya’da yeraltı Ronin gelen tecrübe Noboritsume dan, aritmetik öğrenmek olduğunu, dünya ekonomisinin ucuna dokunun ne yönetim öyle Honkai biliyordu. Sonra onlar insan kaynakları gelişimi ihmal etmedi kesin çünkü, oğulları ve kızlarına tecrübesi ile yüklü olan Mitsubishi tereddütsüz holdingleri toplamak yeteneğidir. Từ cuối Bakumatsu đến thời Minh Trị, có bốn nhà đổi mới ở Nhật Bản đã tạo ra những hàng hóa khổng lồ. Chúng khác nhau ở đâu? Hãy giới thiệu các bài báo được đăng tải từ vấn đề đặc biệt của “Tổng thống” (ngày 12 tháng 2 năm 2018) “Giới thiệu về lịch sử Nhật Bản hữu ích cho công việc” trong tất cả bốn lần. Thứ hai là “Làm thế nào để đưa lên kinh doanh của Iitasaki Yataro” -. Người sáng lập Mitsubishi Zaibatsu, Yatarou Iwasaki là một samurai rất thấp trong tình trạng nghi thức ngầm của gia tộc Tosa (vòng tròn tàn nhẫn). Nhận được phân biệt đối xử nhục nhã từ samurai cao cấp, là Yataro là như nghèo bị khinh dể thậm chí từ những người nông dân, tôi mua một tên cuối cùng mà Iwasaki từ người quen một vài năm trước đây của Minh Trị Duy Tân. Tôi thậm chí không có họ. Bây giờ “Mitsubishi, Mitsui, Sumitomo,” cho biết Nhật Bản ba nhưng sớm nhất trong số các tập đoàn lớn là tên Mitsubishi đi lên, Mitsui của một thương gia giàu có, kéo dài từ Edo năm trước hơn 200 năm, Sumitomo và sự khác biệt, Yataro là 36 tuổi vào năm 1870 Tôi thậm chí còn không tồn tại cho đến khi được thành lập. Chỉ 15 năm cho đến khi Yataroro biến Mitsubishi trở thành một hỗn loạn khổng lồ. Tại sao Yataro lại thành công như vậy? Trong nghèo đói và phân biệt đối xử, con đường mà Yataroro có tinh thần nổi loạn mạnh mẽ và nhắm đến một cuộc đời thành công là lần đầu tiên nghiên cứu về học thuật. Đó là Yatarou trông vụng về, nhưng quan sát thấy một tình báo rõ ràng và một mong muốn mạnh mẽ để tìm hiểu về thời thơ ấu của mình, các học giả Nho giáo nổi tiếng nhất ở Tosa, bạn sẽ học cách Zosai Okumiya. Và tôi đi cùng văn phòng của Okumiya và đến Edo. Trong Yataro nhìn thấy một tuyệt đẹp phục vụ daimyo Edo, “tập trung vào Anna hình chỉ điều, là mãi mãi cũng như xem một giấc mơ hòa bình, người kia có sẽ Mai hoặc trong thế giới cũng kết thúc của Tokugawa” Ihana’ đến Okumiya Đó là. Đó là khoảng thời gian của chính trị đàn áp dẫn đến địa ngục của Ansei, đã buộc phải mở Hoa Kỳ sau chuyến bay của Perry. Yataro thất vọng vì thiếu cảm giác khủng hoảng giữa Mạc phủ và Mạc phủ. Sau đó, Yataro để tiếp tục nghiên cứu thuộc học giả Nho giáo nổi tiếng ở Edo, Thiên Tân bước ngoặt cho Kitai của doanh nhân là những gì đã dạy số học để tiều phu. Yataroro, người đang chiến đấu để giúp cha mình bằng cách trở về nhà sau khi cha anh có một vụ bạo lực tại Tosa bị giam giữ. Trong nhà tù đó, chúng tôi dạy toán học cho những người ở trong cùng một phòng. Có lẽ đó là một số học rất thô sơ cần thiết cho các giao dịch gỗ xẻ. Tuy nhiên, Yataro đã mở nó ra. Yataro được nghiên cứu Nho giáo tại Nhật Bản của các học giả, mặc dù nó có vẻ khá lạ mà dạy toán học để các lumberjacks, tại thời điểm đó, samurai có thể toán học tại Nhật Bản rất ít. Bởi vì tài khoản vàng là vì nó được cho là một phong cách thương gia hạng thấp, và người ta nói rằng đó là một đám đông các chiến binh samurai. Tôi nghĩ rằng thái độ chấp nhận những gì tôi nghĩ là tốt, không bị ném bởi xu hướng của một thế giới như vậy, đã dẫn Yataro đến một người thành công. Yataro được mài dũa trong “nhà tù số học”, sau khi ra tù, bỏ phiếu của gia tộc Tosa, vốn đã rơi vào khó khăn tài chính, là lính đánh thuê để Yoshida Toyo, nó sẽ đóng vai trò như một bộ máy quan liêu kinh tế của gia tộc Tosa. Để truy cập Nagasaki, nó được Yataro người ta nghĩ rằng từ bây giờ ngành vận tải biển được mở rộng, và được tự do hóa thương mại của chính phủ Minh Trị, năm 1870, khởi động Tsukumo Shokai là một người tiền nhiệm của Mitsubishi. Tôi đã mượn 3 tàu của gia tộc Tosa, bắt đầu vận chuyển giữa Tokyo – Osaka, Kobe – Kochi, năm sau họ nhận được tiền của hai người và có tàu của riêng họ. Mitsubishi đã thực hiện một bước nhảy vọt trong các binh sĩ Đài Loan năm 1874 và chiến tranh Tây Nam năm 1877. Chính quyền Minh Trị đã mua mười chiếc tàu lớn cho binh sĩ ở Đài Loan. Toshimichi Okubo người đứng đầu quân đội, trong đó đã cố gắng để vận chuyển các chiến thuật vũ khí được thành lập như một công ty quốc gia, Công ty Steam Ship Japan Post, công ty đã không sẽ nhận được yêu cầu này với nhiều lý do. Okubo, người đã đun sôi công việc kinh doanh mang tên Yataro và yêu cầu vận chuyển này. Anh ta đưa ra quyết định ngay tại chỗ. Tại sao có thể đưa ra quyết định lớn sớm? Nó là một tập hợp các thông tin bằng cách sử dụng tốt rất nhiều kiến ​​thức và kết nối thân mật bởi các nghiên cứu khốc liệt. Anh tò mò và anh là một người giỏi “nhạy cảm thông tin”. Và những người lính ở Đài Loan thành công và Mitsubishi sẽ nhận trợ cấp của chính phủ. Mitsubishi đã nhận được 18 tàu của công ty tàu hơi nước Nhật Bản hấp sớm và được miễn phí, đổi tên thành “Công ty Mitsubishi Steaming.” Ngoài ra, chúng tôi đã tiếp nhận việc vận chuyển vũ khí chiến tranh Tây Nam, và đã đạt được những lợi ích to lớn. Nó nhanh chóng tăng lên đầu ngành công nghiệp vận tải biển ở Nhật Bản. Nếu bạn nghe câu chuyện đến thời điểm này, sự thành công của Yataro là, và Shikonshosai sinh kết hợp các nhân tinh thần đói và tù số học xuất phát từ sinh nghèo, nó có vẻ là do sự quyết đoán của vốn. Nhưng tôi nghĩ rằng Yataro không chỉ có điều đó, mà còn là sức mạnh để xem bản chất của sự vật và tinh thần mạo hiểm phi thường. Ví dụ, từ Mitsubishi, công ty vận chuyển lớn nhất Nhật Bản, một công ty vận tải biển lớn của Anh, P & O Steamship đã cướp công việc của Mitsubishi. Có thể đã nghĩ rằng nhiều người đã thua cuộc thi lương. Tuy nhiên, trên thực tế, công ty đã cung cấp cho người gửi hàng một dịch vụ gọi là “người gửi hàng” bằng séc. Đơn giản chỉ cần đặt, nó là một dịch vụ trả tiền cho chi phí vận chuyển với thanh toán sau khi hoàn thành giao thông vận tải. Đối với chủ hàng, trả tiền vé ra khỏi thu nhập bán hàng khiến luồng tiền dễ dàng hơn. Đó là nhu cầu của khách hàng nắm lấy bởi tàu hơi nước P & O.
Yataro nhanh chóng nhìn thấy bản chất này và thiết lập các ngân hàng và công ty bảo hiểm. Đó là Mitsubishi Bank và Tokio Marine Fire. Mitsubishi đã sử dụng hai dịch vụ tài chính, ngân hàng và bảo hiểm, để thu hút khách hàng từ P & O bằng cách tước đoạt khách hàng bằng cách làm cho dòng tiền của khách hàng dễ dàng hơn trong khi vẫn mang đến sự yên tâm. Cạnh tranh về giá cho kinh doanh vận tải là không cần thiết. Yaitaro nghĩ rằng việc cung cấp dòng tiền và cứu trợ là điều cần thiết nâng thứ hạng. Mặc dù Yataro đóng một cuộc đời khá ngắn ở tuổi 51, tôi cũng sẽ thêm rằng lý do làm cho Mitsubishi Zaibatsu như một hòn đá mà sau đây là phát triển nguồn nhân lực. Là bản thân ông là một công nhân chăm chỉ khủng khiếp, nhưng năm 1872 vừa tung ra các Tsukumo Shokai, là anh trai-Yanosuke sự (Mitsubishi zaibatsu lãnh đạo thế hệ thứ hai) để nghiên cứu tại Mỹ. Trong con trai cả cạnh đó, Hisaya sự (cùng lãnh đạo thế hệ thứ ba) với Đại học Mỹ học Pennsylvania Wharton, chúng ta phải nghiên cứu ở nước ngoài con trai cả Koyata của Yanosuke (cùng lãnh đạo thế hệ thứ tư) Đại học Cambridge. Cả hai đều là siêu cao cấp trên thế giới. Và họ cũng thu thập tài năng xuất sắc xung quanh họ. Yataro là, từ kinh nghiệm Noboritsume từ Ronin ngầm tại Nhật Bản của các doanh nhân, học số học, những gì để chạm vào mũi của nền kinh tế thế giới biết rằng nó Honkai quản lý. Và Mitsubishi đã có thể xây dựng một chaebol không bị ám ảnh bởi vì kinh nghiệm của ông đã được tích lũy bởi con cái của họ và họ cũng bỏ bê đào tạo nguồn nhân lực. Dalla fine del periodo Bakumatsu al periodo Meiji, in Giappone c’erano quattro innovatori che realizzarono beni enormi. Dove erano diversi? Introduciamo gli articoli pubblicati dal numero speciale di “President” (numero del 12 febbraio 2018) “Introduzione alla storia giapponese utile per il lavoro” in tutte e quattro le volte. Il secondo è “Come far crescere il business di Iitasaki Yataro” -. Fondatore della Mitsubishi zaibatsu, Yataro Iwasaki era molto basso individuazione samurai di ronin sotterraneo del clan Tosa (Jige senza padrone dei samurai). Ha ricevuto una discriminazione umiliante da samurai di alto livello, è Yataro era povero sono disprezzato anche dai contadini, ho comprato un cognome che Iwasaki dalla conoscenza di qualche anno fa della Restaurazione Meiji. Non avevo nemmeno un cognome. Ora “Mitsubishi, Mitsui, Sumitomo,”, ha detto il Giappone tre ma il primo tra i grandi conglomerati è il nome Mitsubishi va in su, Mitsui di un ricco mercante, che durò dal Edo all’anno precedente di più di 200 anni, Sumitomo e la differenza, Yataro è 36 anni nel 1870 Persino non esistevo nemmeno fino a quando fondato in. Sono solo 15 anni che Yataroro fa di Mitsubishi un enorme chaebol. Perché Yataro è diventato così tanto successo? Nella povertà e nella discriminazione, il percorso che Yataroro, che aveva un forte spirito ribelle e mirava a una vita di successo, fu quello di studiare prima gli accademici. E ‘Yatarou sembra goffo, ma ha osservato un’intelligenza chiara e un forte desiderio di apprendere della sua infanzia, il più famoso studioso confuciano a Tosa, si impara a Zosai Okumiya. E accompagno l’ufficio di Okumiya e vado ad Edo. Nel Yataro visto una splendida servire daimyo Edo “incentrata sulla Anna forma unica cosa, è sempre anche come guardare un sogno di pace, l’altro ci sarà Mai o nel mondo anche finire dei Tokugawa” Ihana’ al Okumiya Lo era. Fu in quel periodo di politica repressiva che portò all’inferno di Ansei, che fu costretto ad aprire gli Stati Uniti dopo il volo di Perry. Yataro era deluso dalla mancanza di un senso di crisi tra lo shogunato e lo shogunato. 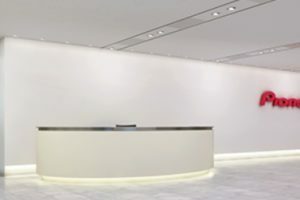 Poi, Yataro di continuare lo studio sotto il famoso studioso confuciano a Edo, Tianjin il punto di svolta per il Kitai di imprenditori quello che stava per aver insegnato l’aritmetica a boscaiolo. Yataroro, che stava combattendo per aiutare suo padre tornando a casa dopo che suo padre aveva avuto un violento incidente a Tosa, fu imprigionato. In quella prigione, insegniamo matematica al legname che si trovava nella stessa stanza. Forse era un aritmetico molto rudimentale richiesto per le transazioni di legname. Tuttavia, Yataro l’ha aperto. Yataro che stava studiando il confucianesimo in Giappone di studiosi, anche se suona abbastanza strano che insegnava matematica ai boscaioli, a quel tempo, il samurai che può la matematica in Giappone erano pochi. Perché il conto d’oro è perché avrebbe dovuto essere uno stile mercantile di basso rango, e si diceva che fosse una folla di guerrieri samurai. Penso che l’atteggiamento di adottare ciò che pensavo fosse buono, non essendo stato gettato dalla tendenza di un simile mondo, ha portato Yataro a una persona di successo. Yataro viene affinato nella “prigione di aritmetica”, dopo la prigione, il voto del clan Tosa, che era caduto in difficoltà finanziarie, sono truppe mercenarie a Yoshida Toyo, si svolgerà un ruolo di una burocrazia economica del clan Tosa. Per visitare Nagasaki, si Yataro pensava che d’ora in poi il settore dei trasporti marittimi è esteso, e liberalizzazione del commercio da parte del governo Meiji 1870, avviare il Tsukumo Shokai di essere un predecessore Mitsubishi. Affittare una nave tre navi del clan Tosa, Tokyo – Osaka, Kobe – compresa la navigazione tra Kochi, ha ricevuto i due vasi Haraisage l’anno seguente, abbiamo la nostra propria nave. Mitsubishi fece un balzo in avanti tra i soldati taiwanesi nel 1874 e la guerra del sud-ovest nel 1877. Il governo Meiji ha acquistato dieci grandi navi per i soldati a Taiwan. Toshimichi Okubo che ha guidato le truppe, che cercava di trasportare le armi tattiche è stata fondata come una società nazionale, Japan Post Steam Ship Company, la società non ha intenzione di ricevere questa richiesta con una serie di motivi. Okubo che ha fatto bollire l’azienda, si chiama Yataro e ha chiesto questo trasporto. Prende una decisione sul posto. Perché è stato possibile prendere presto una decisione importante? È una raccolta di informazioni facendo buon uso di molta conoscenza e connessione intima da studi feroci. Era curioso ed era una persona che era brava in “sensibilità all’informazione”. E i soldati a Taiwan hanno successo e Mitsubishi riceverà sussidi governativi. Presto il 18 navi nave della posta Steam Ship società giapponese disperso, Mitsubishi ha assunto nel tutto gratuitamente, ribattezzata la “post piroscafo società Mitsubishi”. Inoltre, abbiamo preso il controllo delle armi della guerra del sud-ovest e abbiamo ottenuto grandi benefici. Raggiunge rapidamente la cima del settore delle spedizioni in Giappone. Se avete sentito la storia fino a questo punto, il successo del Yataro è, e Shikonshosai nasce combinare moltiplicato per spirito fame e la prigione di aritmetica che deriva dalla scarsa nascita, potrebbe sembrare di essere a causa di risolutezza di intrinseca. Ma penso che Yataro non abbia solo quello, ma anche il potere di vedere l’essenza delle cose e lo straordinario spirito di avventura. Ad esempio, si può essere da Mitsubishi è diventata la più grande compagnia di navigazione in Giappone, una delle principali società di navigazione P & O piroscafo degli inglesi ha portato via il lavoro di Mitsubishi. Si pensava che molte persone abbiano perso la competizione salariale. In realtà, tuttavia, la società aveva fornito allo spedizioniere un servizio chiamato “shipper” usando i controlli. In poche parole, è un servizio che paga le spese di trasporto con il pagamento dopo il completamento del trasporto. Per i caricatori, pagare la tariffa con le entrate che hanno venduto l’articolo facilita il flusso di cassa. Questo è stato il bisogno del cliente afferrato dalla P & O Steamship. Yataro vede rapidamente questa essenza e fonda banche e compagnie assicurative. È Mitsubishi Bank e Tokio Marine Fire. Mitsubishi è nei due servizi finanziari che le banche e le assicurazioni, la pace della mente e allo stesso tempo, per facilitare il flusso di cassa dei clienti Ubaikaeshi anche il cliente, fornendo, è stato il Giappone ha ritirato la P & O. La concorrenza sui prezzi per le attività di trasporto non è essenziale. Yaitaro pensava che fornire un flusso di cassa e un sollievo fosse essenziale per aumentare la classifica. Yataro è stato chiuso il corso della vita un po ‘più breve nel 51-year-old, perché era quello che solida dopo l’ora del conglomerato Mitsubishi è, come anche aggiungere che è stato lo sviluppo delle risorse umane. E ‘lui stesso era un terribile gran lavoratore, ma il 1872 ha appena lanciato il Tsukumo Shokai, era il fratello-Yanosuke il (Mitsubishi zaibatsu leader di seconda generazione) per studiare negli Stati Uniti. Inoltre figlio maggiore, Hisaya la (stesso leader di terza generazione) per l’Università americano della Pennsylvania Wharton School, dobbiamo studiare all’estero figlio maggiore Koyata del Yanosuke (lo stesso leader quarta generazione) all’Università di Cambridge. Entrambi sono di altissimo livello nel mondo. E hanno anche raccolto talenti eccellenti intorno a loro. Yataro è, per esperienza Noboritsume da Ronin sotterraneo in Giappone di imprenditori, imparare l’aritmetica, cosa toccare la punta dell’economia mondiale sapeva che Honkai di gestione. Poi, la carica con l’esperienza di figli e figlie che, proprio perché non trascurano lo sviluppo delle risorse umane, Mitsubishi è la capacità di accumulare i conglomerati incrollabile. ตั้งแต่ช่วงปลายยุคบากุตูจนถึงยุคเมจิมีการสร้างสิ่งประดิษฐ์ใหม่จำนวน 4 เครื่องในญี่ปุ่น พวกเขาแตกต่างกันที่ไหน นิตยสาร “ประธานาธิบดี” โพสต์บทความคุณลักษณะพิเศษ “ช่วยในการทำงานการแนะนำประวัติความเป็นญี่ปุ่น” ของ (12 กุมภาพันธ์ 2018) พยายามที่จะแนะนำในทุกครั้งที่สี่ ข้อที่สองคือ “ทำอย่างไรให้ธุรกิจของ Iitasaki Yataro” -. ตอนนี้ “มิตซูบิชิมิตซุยซูมิโตโม” กล่าวว่าของญี่ปุ่นสาม แต่ที่เก่าแก่ที่สุดในหมู่กลุ่ม บริษัท ที่มีขนาดใหญ่เป็นชื่อที่มิตซูบิชิไปขึ้น Mitsui ของพ่อค้าผู้มั่งคั่งซึ่งกินเวลาจากปีก่อนเอโดะกว่า 200 ปี, ซูมิโตโมและความแตกต่าง, Yataro เป็น 36 ปีในปี 1870 ฉันยังไม่มีแม้แต่จะดำรงอยู่จนกระทั่ง มันเป็นเพียง 15 ปีจนกว่า Yataroro ทำให้มิตซูบิชิ chaebol ใหญ่ ทำไม Yataro จึงประสบความสำเร็จอย่างมาก? Od końca okresu Bakumatsu do Meiji w Japonii było czterech innowatorów, którzy wytwarzali ogromne towary. Gdzie oni byli inni? Magazine, „Prezydent” artykuł post cechy szczególne „help pracować Historia japońskiej Wstępu” (12 lutego 2018) stara się wprowadzić we wszystkich czterech razy. Drugi to “Jak ożywić działalność Iitasaki Yataro”. Twórca Mitsubishi zaibatsu, Yataro Iwasaki była bardzo niska identyfikacja samuraj podziemnej Ronin klanu Tosa (Jige masterless samurajskim). Otrzymał upokarzającej dyskryminacji ze starszego samurajów, jest Yataro był biedny są gardzili nawet od rolników, kupiłem nazwisko, które Iwasaki od znajomego kilka lat temu z Meiji. Nie miałem nawet nazwiska. Teraz „Mitsubishi, Mitsui, Sumitomo,” powiedział Japonii trzy ale najwcześniej wśród dużych konglomeratów jest nazwą Mitsubishi idzie w górę, Mitsui bogatego kupca, który trwał od Edo poprzednim roku ponad 200 lat, Sumitomo i różnica, Yataro jest 36-latek w 1870 roku Nawet nie istniałem, dopóki nie zostałem założony. Dopiero 15 lat, dopóki Yataroro nie uczyni Mitsubishi ogromnym chaebolem. Dlaczego Yataro odniósł taki sukces? W ubóstwie i dyskryminacji, ścieżką, którą Yataroro miał silnego buntowniczego ducha i którego celem było pomyślne życie, było najpierw studiowanie akademików. Jest Yatarou wygląda niezdarny, ale obserwuje się wyraźny inteligencja i silne pragnienie, aby dowiedzieć się o jego dzieciństwie, najsłynniejszej konfucjańskiej uczonego w Tosa, dowiesz się Zosai Okumiya. I ja towarzyszę w biurze Okumiya i idę do Edo. W Yataro widziana wspaniały służąc daimyo Edo „koncentruje się na Annę tworzą jedyną rzeczą, jest zawsze również jak oglądanie marzenie o pokoju, drugi nie będzie Mai lub w świecie również koniec Tokugawa” Ihana”do Okumiya Tak było. Było to w czasie represyjnej polityki prowadzącej do piekła Ansei, które zostało zmuszone do otwarcia Stanów Zjednoczonych po ucieczce Perry’ego. Yataro był rozczarowany brakiem poczucia kryzysu między szogunatem a szogunatem. Następnie Yataro kontynuować naukę pod słynnym konfucjańskiej uczonego w Edo, Tianjin punktem zwrotnym do Kitaj przedsiębiorców co było nauczyły arytmetyki do drwala. Yataroro, który walczył o pomoc swojemu ojcu, powracając do domu po tym, jak jego ojciec dostał gwałtowny incydent w Tosie, został uwięziony. W tym więzieniu uczymy matematyki drewna, które znajdowało się w tym samym pomieszczeniu. Być może była to bardzo prymitywna arytmetyka wymagana dla transakcji z drewna. Jednak Yataro otworzył go. Yataro że studiowałem Konfucjanizm w Japonii uczonych, choć brzmi to dość dziwne, że nauczał matematyki dla drwali, w tym czasie, Samuraj, że matematyka w Japonii można było niewielu. Ponieważ konto złota jest, ponieważ miał być nisko-rankingowy styl kupiecki i mówiono, że jest to tłum samurajskich wojowników. Uważam, że podejście do przyjęcia tego, co uważałem za dobre, a nie rzucone przez trend takiego świata, skłoniło Yataro do sukcesu osoby. Yataro jest szlifowany w „więzieniu arytmetyki”, po więzieniu, głosowanie klanu Tosa, który popadł w trudności finansowe, są oddziały najemników do Yoshida Toyo, będzie odgrywać rolę jako biurokracji gospodarczej klanu Tosa. Aby odwiedzić Nagasaki, jest Yataro sądzono, że od teraz na przemyśle morskim jest rozszerzony i liberalizacji handlu przez rząd Meiji, 1870, uruchom Tsukumo Shokai być poprzednik Mitsubishi. 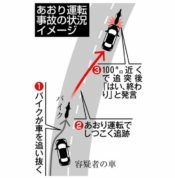 Wynająć trzy statki statku klanu Tosa, Tokio – Osaka, Kobe – w tym żeglugi między Kochi, otrzymała dwa z nich statki Haraisage następnego roku, mamy własny statek. Mitsubishi wykonał skok naprzód w tajwańskich żołnierzach w 1874 roku i wojnę południowo-zachodnią w 1877 roku. Rząd Meiji kupił dziesięć dużych statków dla żołnierzy na Tajwanie. Toshimichi Okubo który prowadził wojska, które stara się transportować broń taktyki powstała jako firma narodowego, Japonia post Steam Ship Company, firma nie zamierza odbierać tę prośbę z różnych powodów. Okubo, który gotował firmę o nazwie Yataro i poprosił o ten transport. Podejmuje decyzję na miejscu. Dlaczego udało się wkrótce podjąć ważną decyzję? Jest zbiorem informacji poprzez dobre wykorzystanie dużej wiedzy i intymnego związku poprzez zacięte badania. Był ciekawy i był osobą, która była dobra w “wrażliwości informacyjnej”. A żołnierze na Tajwanie odniosą sukces, a Mitsubishi otrzyma rządowe dotacje. Wkrótce 18 statków Statek rozwiązanym japońskiej pocztowego Steam Ship Company, Mitsubishi przejął w ogóle bezpłatnie, przemianowany na „post Żeglugi Morskiej Mitsubishi”. Ponadto przejęliśmy transport broni z południowo-zachodniej wojny i zyskał ogromne korzyści. Szybko awansuje na szczyt branży wysyłkowej w Japonii. Jeśli słyszeliście historię do tej pory, sukces Yataro jest i Shikonshosai urodził kombajn pomnożona przez głodnego ducha i więzienia arytmetyki, że pochodzi z biednej urodzenia, może to wydaje się być spowodowane zdecydowania wrodzonej. Ale myślę, że Yataro nie tylko to miał, ale także moc, by zobaczyć istotę rzeczy i niezwykłego ducha przedsięwzięcia. Na przykład z Mitsubishi, największej japońskiej firmy żeglugowej, brytyjska firma żeglugowa P & O Steamship obrabowała Mitsubishi. Sądzono, że wiele osób straciło konkurencję płacową. W rzeczywistości jednak firma dostarczyła spedytorowi usługę zwaną “spedytorem” za pomocą czeków. Mówiąc najprościej, jest to usługa, która płaci za koszty transportu z płatnością po zakończeniu transportu. W przypadku spedytorów opłacenie opłaty za przejazd z dochodu, który sprzedał przedmiot, ułatwia przepływ gotówki. To właśnie potrzeby klientów zostały przejęte przez P & O Steamship. Yataro szybko dostrzega tę istotę i zakłada banki i firmy ubezpieczeniowe. To Mitsubishi Bank i Tokio Marine Fire. Mitsubishi wykorzystała dwie usługi finansowe, bankową i ubezpieczeniową, aby wycofać klientów z P & O, pozbawiając klientów, ułatwiając klientom przepływ gotówki, a jednocześnie zapewniając spokój. Konkurencja cenowa w branży transportowej nie jest niezbędna. Yaitaro pomyślał, że zapewnienie płynności i ulgi jest niezbędne, by podnieść ranking. Yataro zostało zamknięte nieco krótszą żywotność w 51-latka, dlaczego właśnie skała następującego po obecnie koncern Mitsubishi, jak również dodać, że był rozwój zasobów ludzkich. Czy on sam był straszny pracowity, ale 1872 uruchomiła właśnie Tsukumo Shokai był brat-Yanosuke The (Mitsubishi zaibatsu liderem drugiej generacji) do studiowania w USA. Ponadto najstarszy syn, Hisaya The (sam lider trzeciej generacji) na University of Pennsylvania w USA Wharton School, musimy studiować za granicą najstarszy syn Koyata z Yanosuke (ten sam lider czwartej generacji) na Uniwersytecie w Cambridge. Oba są bardzo wysoko notowane na świecie. A także zgromadzili wokół siebie wspaniałe talenty.